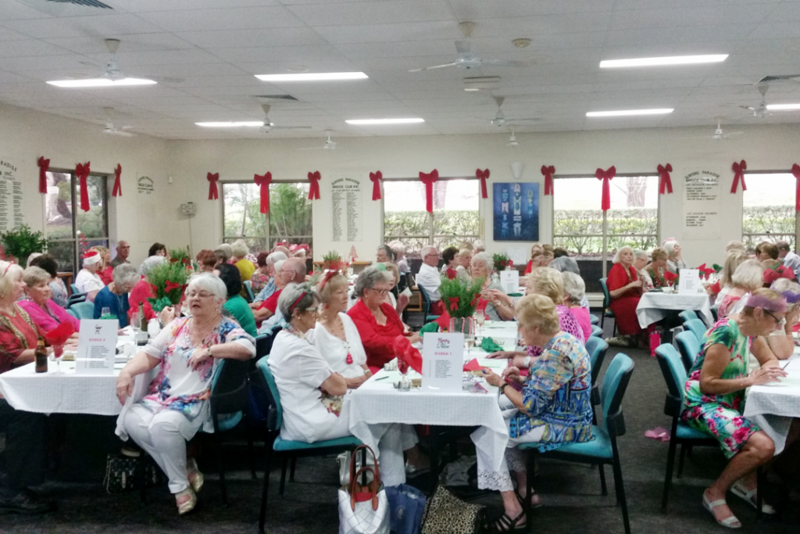 The Surfers Paradise Club House at Benowa on the Gold Coast. “One of Club’s biggest achievement is the professionalism in which our Congresses are conducted which attracts may players from the South and North Coast. 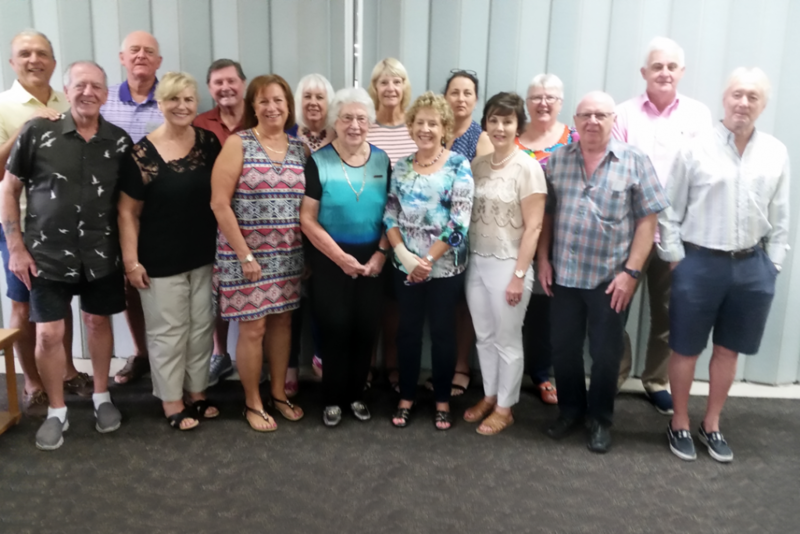 Our Congress convenor, Angels deMarr, has for many years put in countless hours ensuring the success of Congresses held at our club,” Diann says. 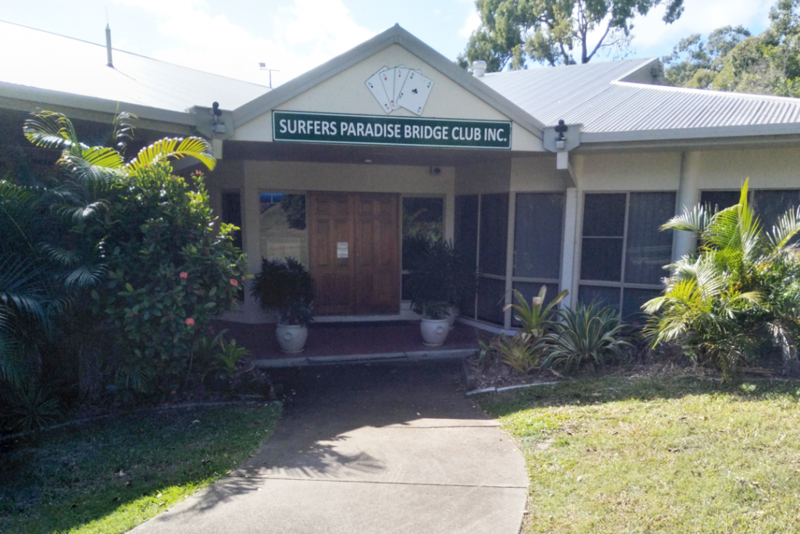 Surfers Paradise Bridge Club began with 15 founding members on the Isle of Capri. On October 25, 1991 the club’s current purpose-built club at Benowa was opened. The club has a very active education program running year around. “The philosophy of the Education Committee is that the education of new players is the life-blood of the club,” Diann says. With this in mind, the club offers three 12-week Beginners lessons blocks throughout the year. The club attracts up to 20 new players each time the lessons are offered. One of the Beginners’ Lessons groups graduation. After that, the lessons begin again, with student encouraged to repeat them multiple times if they feel it necessary. Barbara Rydon is the Club’s Education organiser who runs the club’s Tuesday supervised play sessions. Jenny Simmons runs the Saturday morning sessions. Both Barbara and Jenny are well supported at the supervised play sessions, with many of the club’s experienced members offering their time and expertise. “These Tuesday afternoon sessions are so enjoyable that many of the novice players attend as well as playing on Thursday and Saturday in the restricted section,” Diann says. Surfers Paradise also offers one-off lessons tailored to the needs of its members. Workshops are also offered for the club’s stronger players who have been asking for more challenging tuition. 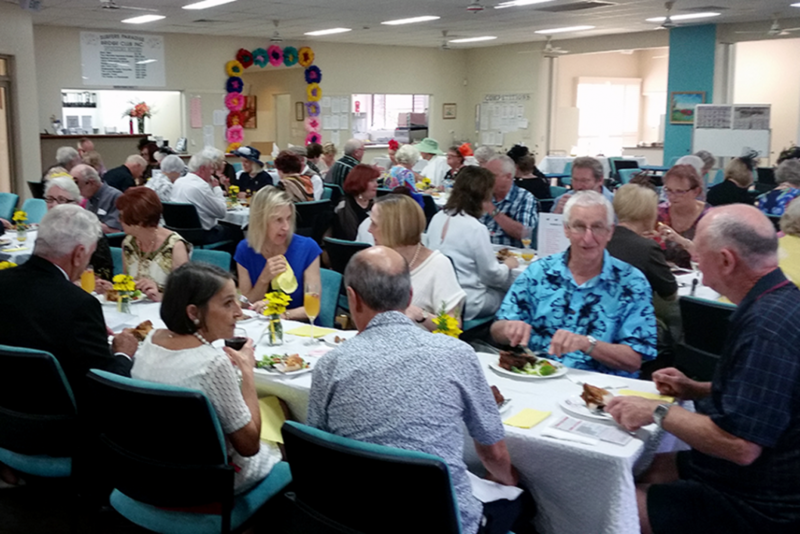 Members enjoy the club’s Melbourne Cup Day Luncheon. A Christmas Lunch at Surfers Paradise.